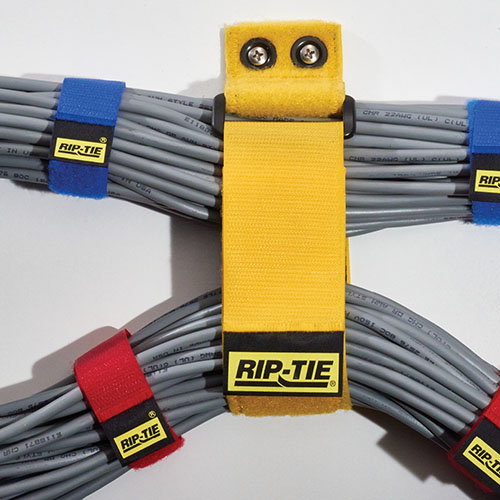 Professional grade quality, durability and value for cable management. 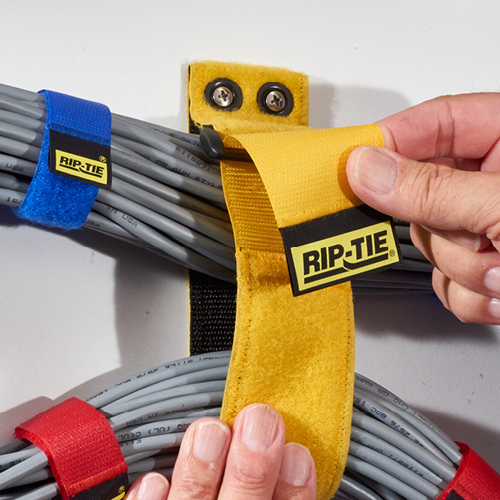 • Perfect for managing cable bundles in mobile carts, along walls, over doorways, and in wiring closets. • Attach to any rack or surface. 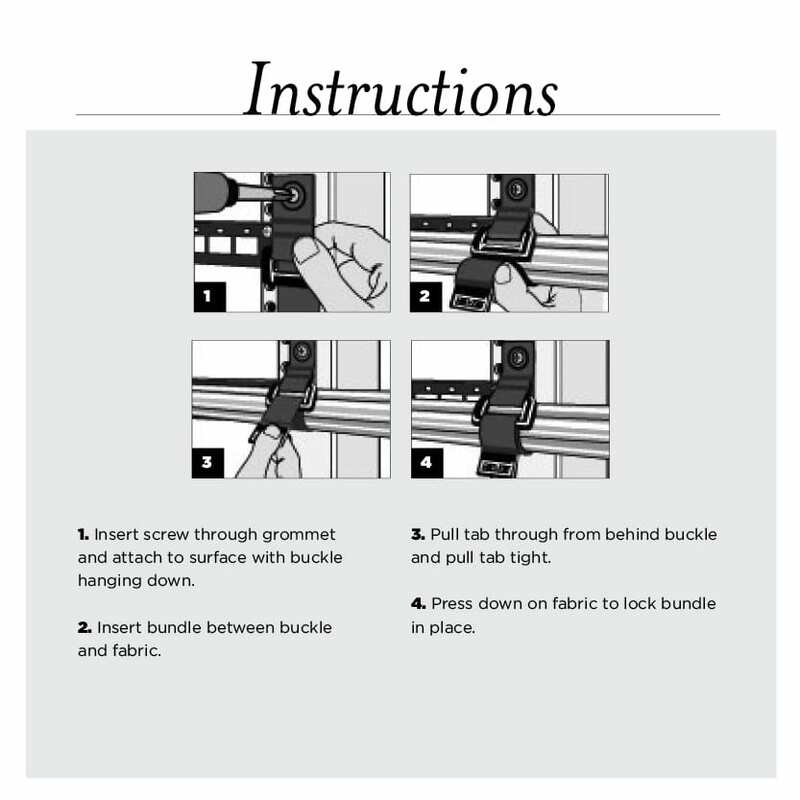 Use any fastener up to 1/4″ diameter for mounting. 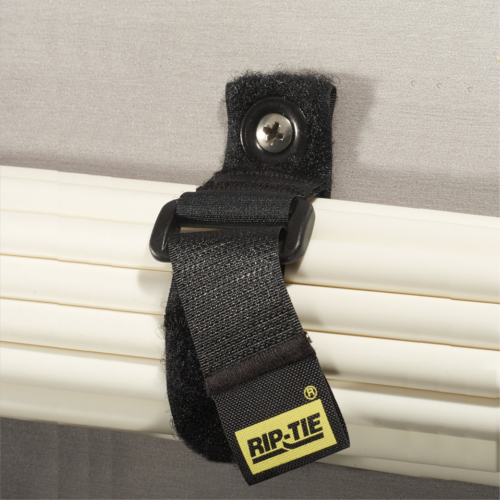 • Non-magnetic brass grommet spreads fastener load evenly without risk of ripping the strap. 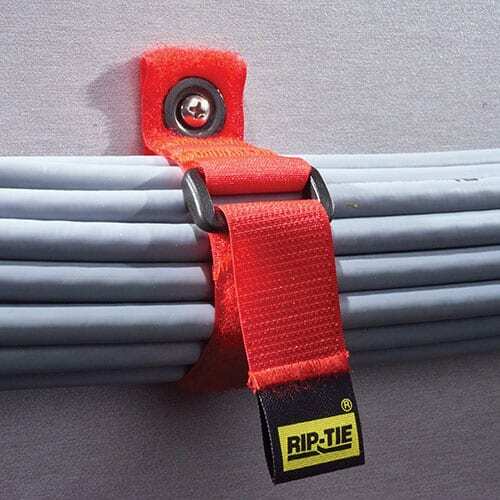 These heavy-duty utility straps offer extra strength and holding power. 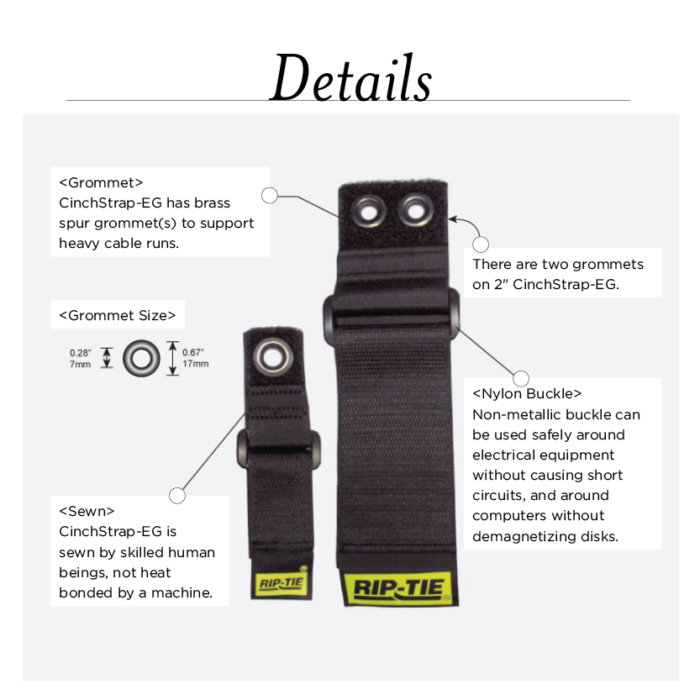 CinchStraps act like a pulley system and have countless applications, whether in industrial settings, at home, in the garden, or for activities like boating. Made with the highest quality hook and loop, these products exemplify our exacting standards. 2 packs are available on this site. To purchase 10 packs and packs of 50, please contact our authorized distributors.